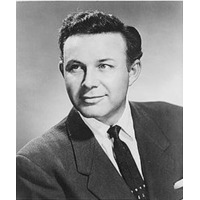 James Travis Reeves (August 20, 1923 – July 31, 1964) was an American country and pop music singer-songwriter popular in the 1950s and 1960s who also gained a wide international following for his pioneering smooth Nashville sound. Known as Gentleman Jim, his songs continued to chart for years following his death at age 40 in a private airplane crash. He was a member of the Country Music and Texas Country Music Halls of Fame.